Various factors like rising awareness of healthy lifestyle among Indians, growing disposable incomes, rising lifestyle diseases and least affected by slowdown in economy are leading to the rise of the fitness sector in the country. Total retail market for fitness category is worth about Rs 4,579 crore (US$ 0.76 bn) growing at 16-18 per cent and is estimated to cross Rs 7,000 crore (US$ 1.18 bn) by 2017. 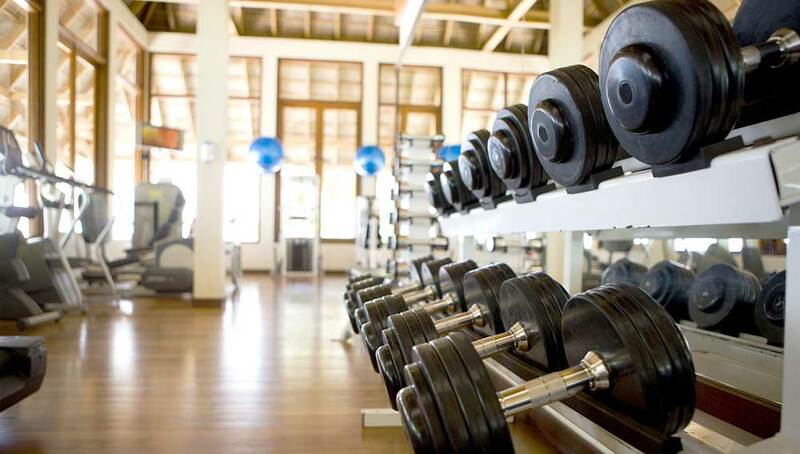 The growth can also be gauged with the fact that we see rising number of gyms in every locality these days. With the passage of time, these unorganised or non-branded gyms are moving towards organised players and opting for franchise brands. And there are number of leading players operating in the country who are seeking franchise partners. How to fit in the fitness business? The organised fitness market is concentrated in top eight cities of India-Delhi NCR, Mumbai, Bangaluru, Chennai, Kolkata, Pune, Hyderabad, Ahmedabad- with more than 60 per cent of outlets of top dozen chains located in these cities. However, having spread their footprints in metros and other major cities, the franchise gym brands are moving to tier-II and III cities now. “A high street location is recommended and preferably between first to third floor. Also important is parking space, our team also assists our franchise partners in selecting the location as this is one of most important aspect of business,” shares Kakkar. Reddy too expresses similar views on this aspect of the business, “High street of residential catchments is suitable for opening a Snap Fitness location. We usually open on second or third floor for higher visibility,” she says. Having set up their centres in the key cities of India, one of the prime challenges for these players remained was of certified trainers. To sort this out, almost all leading franchisors have started a chain of fitness training centres as well. On one side, they are creating a large pool of certified and trained trainers on the other hand; they are able to beat the problem of shortage of instructors and attrition rate. “Trainers are the soul of this business, and getting qualified trainers is a must. To ensure it, we have qualified trainers as we also run an institute for fitness trainers training i.e. Gold’s Gym Fitness Institute,” says Kakkar. Also, Snap Fitness has set an ambitious target of 300 gyms in India over the next three years through the franchise mode. The brand has opened 62 centres in the country till date. “We are looking forward to open 300 centres in India over the next three years. High street of residential catchments is suitable for opening a Snap Fitness franchise centre and we usually open on second or third floor for higher visibility,” shares Reddy. About Us: Nirula's is India's oldest fast food restaurant chain. Based..
About Dr. Bubbles: Dr. Bubbles is one of the few dedicated..
About Us: Ghungroo seth Vada Pav Co. - a growing venture..
About Us: India’s First –Ever Electric Bike Rental/Taxi/Delivery Platform e-Bike..
Quality of Education in India..
‘India Will Always Remain A Whiskey Country’.. Taking the Business to the Streets..
Ayurvedic Brands matching steps with the Trends..
How to succeed in business and job both?.. It’s All About Honoring The Bond.. The Emerging Sector of Self Drive Car..
Detoxifying with Nature and Spa Services.. This Diwali, Give the Gift of Health.. The New Age Bakery Cafe: Catering Millennials..
5 Low Cost Business Ideas For Wellness Industry..
Why Japanese Food is the Next Loved Cuisine..
How Marketing Adds Value in Franchising?.. Innovation & Tech: The Two Revamping Factors..
What Makes Tech And Fitness A Lucrative Pair.. This Restaurant Marks a New Era of Equality..
3 Biggest Challenges in Education Franchising..
A “Magical” Twist To The Law Education..